* Fixed CPUT problem on OS V7R2. * Added SSL connection option. * Fixed username display in Login ERROR message. * Fixed Log in failure on 10 character username. * Modified check CJ for duplicate jobs, can specify job number for CRITICAL and WARNING values. * Fixed check MSG for LANG FR/GE string index out of range error. * Added check for Number of file members. * Added check for work with problems. * Added check for top CPU used job. The total processing unit time used by the job. * check top CPU used job. * check number of active jobs in system. * check to see if job is in the system. * check Job temporary storage used. * check if login completes. * check for any unanswered messages on msg queue. * check outq files, writer and status. * check if the subsystem is running. * check for Number of file members. * check MIMIX Data Group Unprocessed Entry, transfer definition, RJ link state. * check for Rocket iCluster. Node Status, Group Status, Switch Readines. 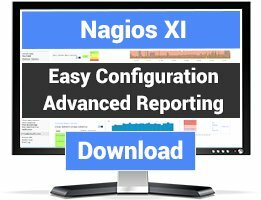 * Modify your $NAGIOS_PATH/.as400 with the correct user and password. * Modify chech_as400 with the correct java path. * For languages other than English , change system library list to ENGLISH. i am not so the Administrator in AS400. Must i change this on the AS400? Narcan, the plugin not cover all version of I/OS... I´ve to 2480 (PT/BRasil). Sometimes the WRKSYSSTS change a little bit, if a PTF is applied or not. In your case, there is a field ou there isn´t a field before Disk Usage (like db capability). And the plugin is getting something about ELAPSED TIME ... there is a count in .java that represent the number of ":" found... you have to increase one or two to get the information you need. Exception in thread "main" java.lang.NumberFormatException: For input string: "00:0"
I think same trouble apply to CJS. 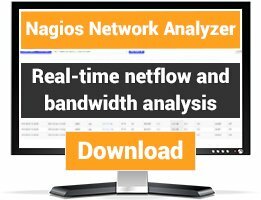 Very good plugin, was able to make it work with an old os400, now we have updated our hardware/firmware and actually nagios give us "(Service check timed out after 90.01 seconds)"
If I execute the check in CLI I have correct results but I have to press CTRL+C to close it. # /usr/local/nagios/libexec/check_as400 -H X.X.X.X -v CJS EASYCOM FAX2 status "(TIMW"
This is a very good plugin, it's work very well. I have a question, can I put a screen number, because on one of our AS400 we stop QINTER and for connecting, we have to force screen number for security reason. 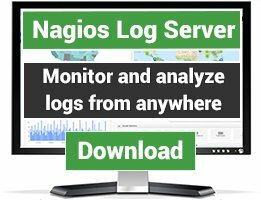 You have done an excellent job that lets Nagios (and its flavors) to get deep into iSeries monitoring. It could be easy extended. One issue that I found is in parseDspMsg when there are a few pages of "need-reply" messages and a new "do not need reply" messages page appears. In this case, where (e.g. k = 334 i=460) we get: Exception in thread "main" java.lang.StringIndexOutOfBoundsException: String index out of range: -126 at java.lang.String.substring(Unknown Source). This happens in line "String str3 = paramString.substring(i, k);" where the begin is 460 and end is 334 (!!!) that is not possible. I use it checking about 30 functions of the iSeries. It just works like expected. All checks i had setup work perfectly for over 6 months now on a V5R2M0 English system. I would love to see a more detail online help, but anyway the dev had always and quickly reply my emails. This worked great for our Version 5 OS, but there we a couple of issues for 7.1.
i have the same problems as hlustik. Did i forgot to install something? as i have not found any mail adress i post this here. Definitions AS/400 use ENGLISH language may solve your problem.